MAMBO KINGS takes the audience on a fascinating journey through the music of Latin America and the U.S.
MAMBO KINGS Hot Latin Nights! takes the audience on a fascinating journey through the music of Latin America and the U.S. From the sultry melancholy of Astor Piazzola and the burning Afro Cuban jazz of Tito Puente, to the rhythmic playfulness of jazz great Dave Brubeck and the pop strains of The Beatles, Mambo Kings will be your guide on a Latin jazz tour of the Pan American experience, featuring original orchestral arrangements and compositions of music from the U.S., Perú, Argentina, Cuba and Puerto Rico. MAMBO KINGS, together since 1995, are enjoying great success as America’s foremost Latin Jazz Ensemble and have rapidly earned a national reputation for their explosive blend of Afro-Cuban rhythms and jazz improvisation. Since their orchestral debut, Mambo Kings have appeared in Pops concerts throughout the country performing original compositions and arrangements by pianist Richard DeLaney. Recent/Upcoming appearances with The Florida Orchestra, Detroit Symphony, Baltimore Symphony, Dallas Symphony, Oregon Symphony, Hartford Symphony, Vancouver Symphony, and Rochester and Buffalo Philharmonics. 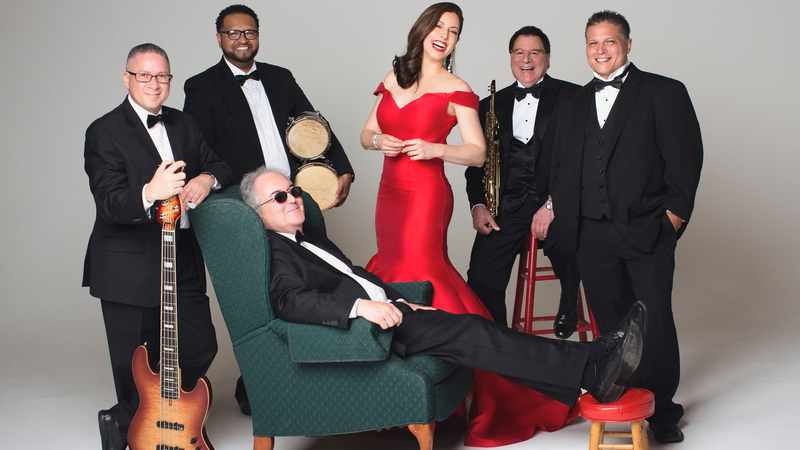 Band members include pianist and musical director Richard DeLaney, saxophonist and woodwind specialist John Viavattine, bassist Hector Díaz, conguero Tony Padilla and drummer and percussionist Freddy Colón.